“What displacement is that?” The ice cream truck driver has ditched his station and crossed the street. “Quarter Litre?” Labeled that way the Kawasaki Ninja 250R sounds much more intimidating, in keeping with the new 249cc entry-market wonder’s looks. Visually Kawasaki has pulled out the stops, grabbing design cues from the 600R and 1000R Ninjas with new fairings, windscreen, 2-into-1 single-canister exhaust, and two-piece seat. None of the sportbike tensed ligaments, bunched muscle, or sense of ready athleticism have been relaxed for the Ninja 250R. A sheep in wolf’s clothing the 250R lacks the dreaded “newbie” stigma, because casual observers are hard pressed to determine the bike’s displacement. Better, Kawasaki has pulled off a spectacular feat of acoustic engineering grafting big-bike sound onto the Ninja 250R. This 249cc parallel twin is hell’s own snarling howling pepper-mill, cranking out 33bhp at 11,000rpm and 16lb ft of torque at 8,700rpm. More than half the fun is in revving the Ninja 250R senseless to keep the bike howling happily in between 7-11,000 for optimum punt. The engine, by Kawasaki’s reckoning, is 70% new, but the result is more than the sum of the Ninja’s mathematics. Just ask the poor guy in the Mercedes SL500 AMG on the expressway. 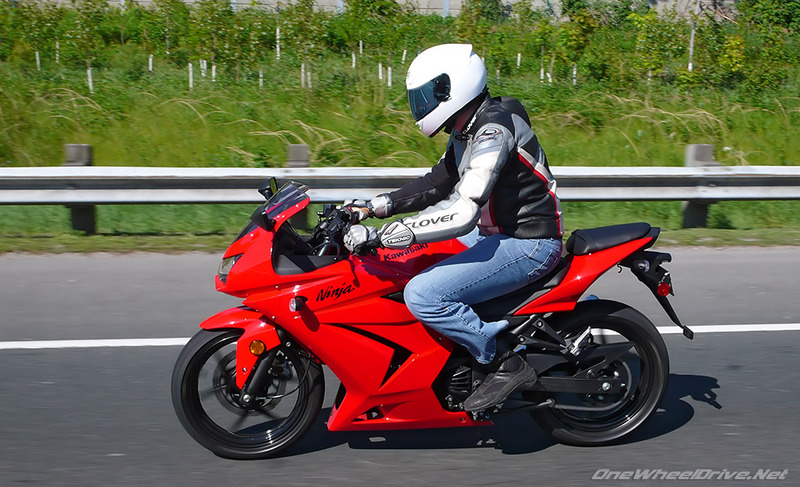 Admittedly I was drafting off his slipstream for maximum effect, but the Ninja 250R’s speedo kissed 160kph before I let the Merc slip away likely unaware that he was being chased by $4,249.00 of freeway-capable performance irony. More important through the entire experience the Ninja 250R was stable, impressive for a mere 152 kg (dry) welterweight of a bike. That’s thanks to an upgraded 37mm Showa (36mm on previous model) front fork, a new Kayaba rear shock with five-way adjustable pre-load, and improved chassis with diamond-type frame. As you’d hope from a sporting quarter-litre preconception-eater this stability isn’t at the cost of handling. The 250R steps up to 17-inch tires mounted on six-spoke rims. The rubber front and back is a narrow 110/70 and 130/70 respectively. Combined with a nymph-light bike, an upright seating position and good leverage from the top mounted clip-ons, the new Ninja larks and capers through the turns and traffic thumbing its nose at inertia and mass. It’s crisp, stiff, and precise without straying into pathological twitchiness. Very little upsets this bike, and that is not for a lack of trying. Push harder than any new rider will and further than most experienced riders will dare and frost heaves through the turns will do it though. Cracked and rippled pavements likewise will set the rear tire chattering, but we’re talking truly bad pavement. We’re testing the Ninja 250R in Ontario after all. 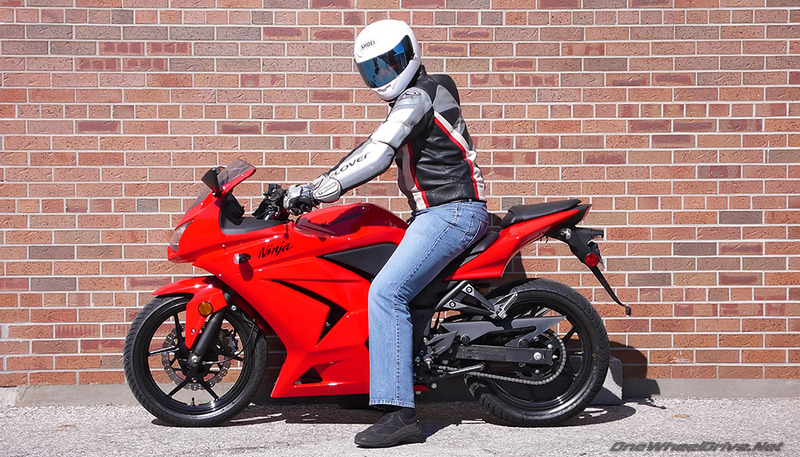 Imagine my shock at dropping a GSX-R 1000 on Toronto’s Rosedale Valley Road, the handling could make owning a 250 cool… owning the GSX-R was priceless. It’s not just the suspension that’s well sorted. The brakes are firm at the lever and offer a good feel. There’s even a little bit of bling to the 290mm front and 220mm rear units thanks to the petal-style rotors. Those numbers may not impress, but remember those are clamped on by dual-piston calipers and are stopping a bike weighing as much as a fruit fly. The terms light, un-intimidating and affirming, can describe indeed so much of this bike making it just what new riders need. 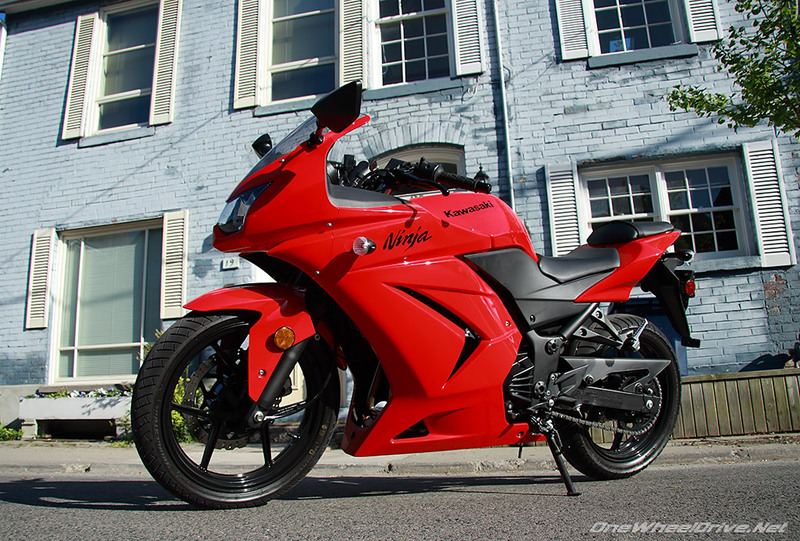 The engine’s power gently increases through the rev range as it lightly spins towards the red-line, though response off the line and in lower gears is a tad sudden, perhaps a function of the North American Ninja 250R being fitted with Keihin CVK30 carburetors rather than fuel-injection to keep the price point sweet. Experienced riders won’t find “powerful” inspiration here, but the throttle’s analog feel and power delivery ensures the Ninja 250R is completely un-intimidating around town, yet offers enough to take traffic off the line rather than simply moving with it. 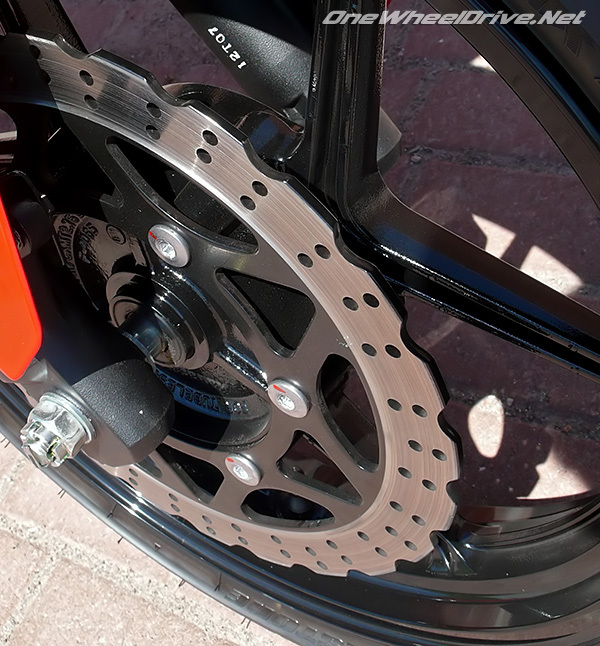 The clutch is light with a gentle pick up and being cable-actuated riders can adjust the release point. Shifts through the six-speed transmission are similarly light to execute and affirmed with a mild-clank. The size of the Ninja won’t intimidate either. The 775 mm seat height and narrowness of the entire package make the 250R a friend of smaller riders. 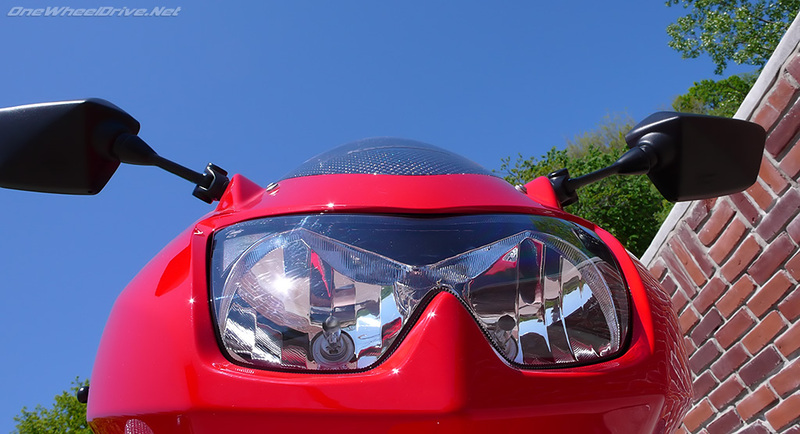 The upright seating position provides good visibility, important for new riders developing their road skills as their attention is split between operating the bike and the perils of the road. The pegs are also relatively low accommodating those of use who are taller… Though accept the fact now tall guys, you’ll look ridiculous wrapped around the Ninja as you learn. There are a few issues though. The parallel twin’s constant vibrations are tiring. The narrow seat has an ache-range of 70kms before a rest stop is required. The wide easily adjustable mirrors are mounted on short stocks limiting their usefulness to a partial view of the elbows for broader riders. Then there’s the noise, despite the sound track being a rewarding experiential bonus, the constant wail requires a good set of earplugs. Beyond that, compared to other 250cc sport and naked offerings from the likes of Hyosung the Ninja 250R is a paragon of refinement. There is another consideration for entry market buyers. While Honda’s CBR125R offers a bargain cost of entry into the sport, there’s not a lot of longevity to the purchase. The CBR125’s 13hp is hard pressed to provide ongoing entertainment to novice riders for more than a season. Which begs the question of which bike to you trade up to? The Ninja 250R with over double the power has the potential to last multiple seasons with new riders as they refine their skills. 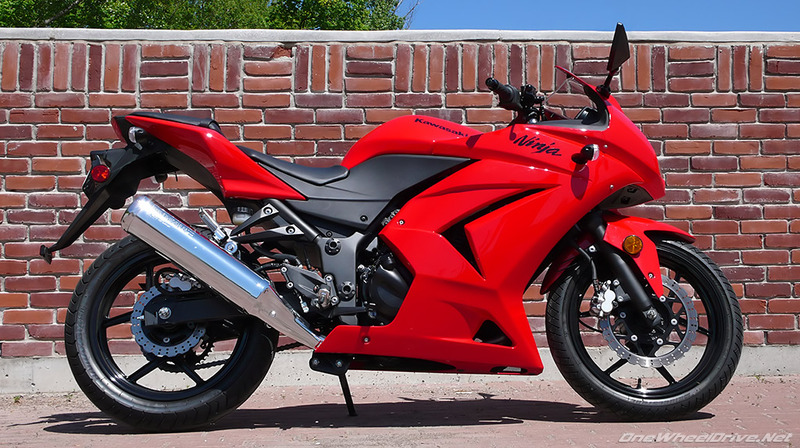 Despite a $1000 premium that positions the Ninja 250R as an excellent “next bike” choice to the CBR125, or is that just the winning “first bike” of choice? There’s an intelligent strategy at work here to keep riders with Kawasaki as their skills develop. The jump from bikes like the Ninja 250R to a 600-class sportbike is a pole vault learning curve. Kawasaki has provided the next natural step with the Ninja 650R, allowing riders to grow with the brand. In the Canadian market Honda introduces new riders to the sport with the soft-as-kittens CBR125R, but has yet to offer a suitable transition bike. One can only congratulate Kawasaki for caring enough about its clientele to provide a growth path. Diluted to new-rider-taste non-lethal power, easy going usability, and precise handling all wrapped in sporting looks, the new 2008 Ninja 250R could well become the definitive learner’s bike of the next wave of riders. 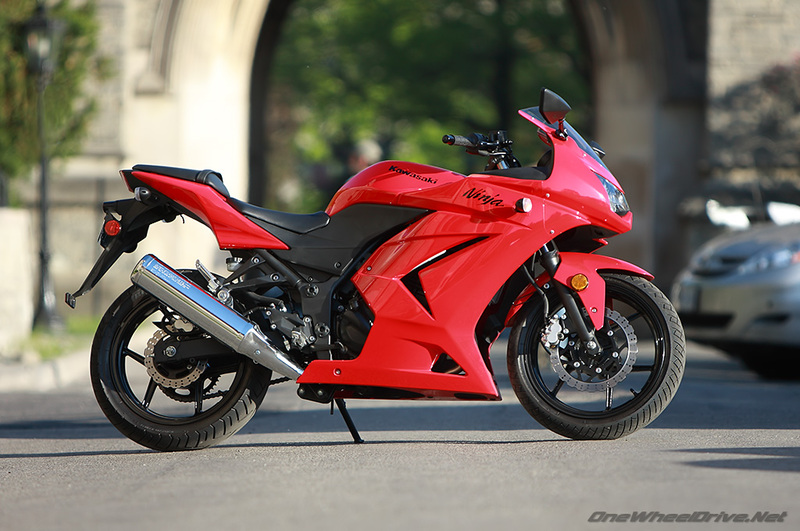 In a market with a dearth of new rider friendly options, the Ninja 250R ranks the coolest.